New Zealand central bank governor Adrian Orr, who unexpectedly switched to an easing bias last month, said it’s not yet clear whether an interest-rate cut is warranted in May. “It is a really mixed picture, it’s just hard,” Orr said in an interview with Bloomberg on Thursday in Wellington. Referring to speculation that the bank could act as soon as May, Orr said: “I don’t know yet,” adding that the bank will continue to evaluate incoming data. Orr last month said the next move in rates was more likely to be down, prompting investors to quickly price in a cut by August. They see a 30 percent chance of a move at the next decision on May 8, swaps data show. Next month’s decision will be made by the RBNZ’s new Monetary Policy Committee, which comprises four internal members and three external experts. Orr reiterated that the starting point for the committee’s deliberations will be his new policy stance. “They’ll obviously start with a full view of where we thought we were at the time and what was going on, and then we’ll say okay is that valid? What else has happened? Is the world turning out slightly better?” he said. While there have been some recent positive developments internationally, global growth has slowed, Orr said. The question is how that will impact on New Zealand, where business confidence remains depressed. He wasn’t surprised by the Quarterly Survey of Business Opinion on April 2, which showed increased pessimism. The RBNZ remains data-driven and will be watching both global and domestic developments in coming weeks, including local inflation on April 17 and labor-market reports on May 1, he said. 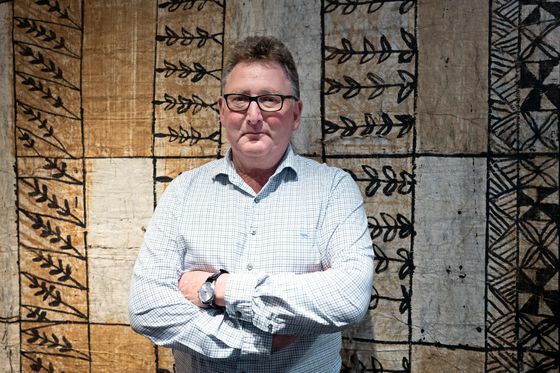 Discussing his reasons for adopting an easing bias on March 27, Orr said it was simply a reflection of the distribution of RBNZ officials’ risk assessments around the official cash rate, which has been at a record low of 1.75 percent since late 2016. The bias had shifted -- “there’s still some to the up but far more to the down,” he said. “I’m happy to be wrong because it means things are growing, but it was fair and honest and transparent,” Orr said. “The weight of evidence had got to the table saying we are not convinced anymore about the direct straight line” for the OCR.